In this adventure, two girls set out to solve the mystery of a large treasure said to be hidden away somewhere in the hills surrounding their run-down town. 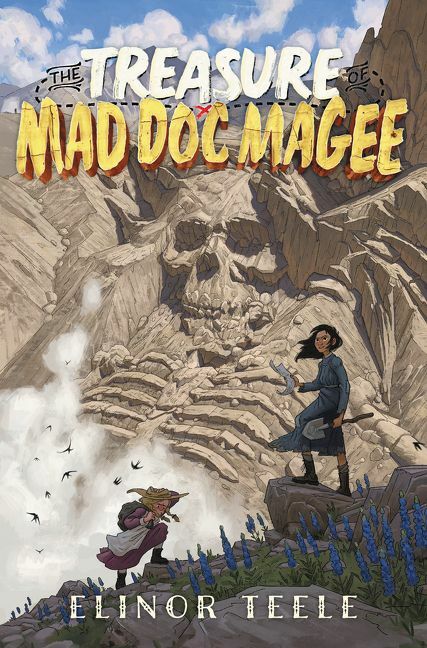 A rip-roaring puzzle box of an adventure about grit, guts, and gold, from Elinor Teele, the acclaimed author of The Mechanical Mind of John Coggin. The small, run-down town of Eden is the only place Jenny Burns has ever called home. The roots of the trees are in her bones, the air of the mountains is in her breath, the lakes and rivers are in her blood. And that’s why, when her father loses his job and tells Jenny that they may have to move on from Eden, she knows she can’t let that happen. The fever of New Zealand’s gold rush still runs in the veins of Eden, and everyone knows the legend of Doc Magee: how he found the largest gold nugget anyone had ever seen and hid it somewhere in the hills before he disappeared. Jenny and her best friend, Pandora, know that if they can find the gold, it’ll solve all their problems. But the way is fraught with mysteries, riddles, and danger—and those are just the threats they know about. Before her quest is over, Jenny will have to face challenges from within as well as from without.